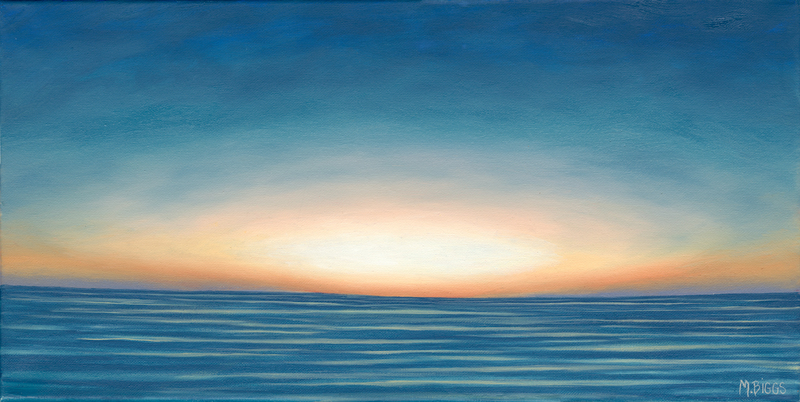 Based on a photograph I took at sunset, my emphasis was the sense of depth I could see, reaching into eternity. Light is representative of the light that dwells within all of us, ever affirming, unconditionally loving. It is a light that expands within and permeates all darkness. With practice one can learn to emit that inner light through one's eyes, words and actions, spreading this positivity and deep abiding love to all those we come in contact with.